Nearly a decade on from the last huge financial crisis, many investors still harbour a distrust for big banks and corporations. The rise of ethical alternatives and pressure groups was hugely affected by this crisis, and ethical investing was cast aside along with its unethical contemporaries. It’s time to start trusting it again. Here are five common myths surrounding ethical investment and the truth behind them. Although plenty of environmental interest groups pursue ethical investment, it’s not just the “hippies”. 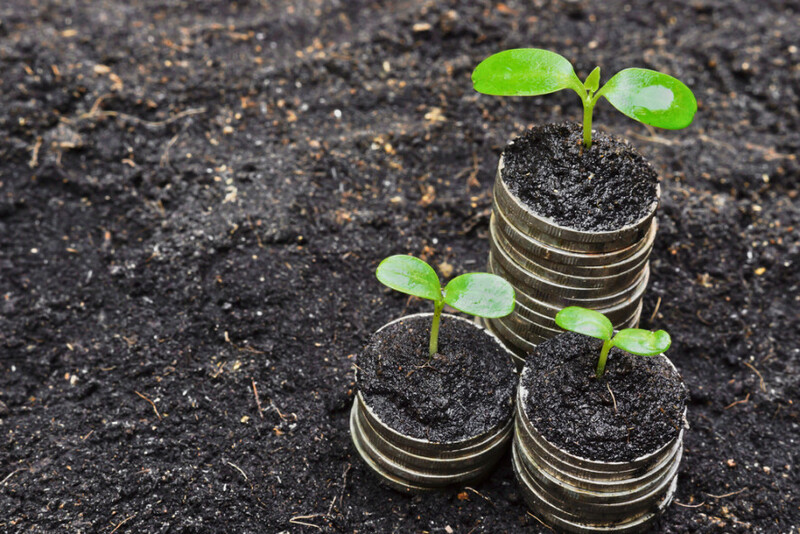 Not only does ethical investment cover a huge range of social goods as well as ecological, but even within the “green technology” industry there are investors doing it for different, exciting reasons. Emerging demographics – wealthy youth, increasingly financially free women – mean that ethical investments are on the rise and ethical stocks are now part of very stable, in-demand indices. You see, while a few remain who don’t like to admit it, sustainable, “green” technology is attracting flocks of futurists, activists, and entrepreneurs. These savvy market players are looking long-term, and predict that green technology will boom in value in years to come when alternative fuels, foods, and housing are in high demand. Think of “sustainable” and “ethical” as “futuristic”. Ethical investing doesn’t have to be a fad, or activism with a wallet; it’s an investment in a better, smarter future that just happens to align with modern “hippy” ideals. Financial advisers report they now have a wide range of investors you could deem “non-traditional,” mostly young – investors who have to live in the future ethical companies work to create. Check out the company you could keep by going ethical. 2. Ethical investments don’t make as much money. A common concern is that ethical investments prioritise principles over performance. However, increasingly we are seeing reports that tell us ethical investment performs no worse than its unethical counterparts, and can actually perform even better. The belief that ethical investments are volatile and unprofitable is true for a few of the early, short-lived attempts – but there are more success stories revealed with each passing year. Looking to the future, it becomes obvious that ethical investment is the smart financial choice. Companies supported by ethical investment are working to confront issues such as gender equality, access to education, and healthcare – these aren’t just doing the right thing ethically. In financial terms, they’re facilitating the creation of future investors and market players by improving quality of life for millions. These future market players are likely to contribute to the ethical industries you’ve already invested in. This means that in investing ethically now will reap you big, big rewards when your investments are suddenly in high demand. 3. I can only ethically invest in environmentally-focused companies. Though there’s nothing wrong with sustainable investment, it’s not unusual to want to spread the risk, or fund a favourite cause. Contrary to popular belief, when it comes to ethical investment you do have a range of choices. Terms used synonymously with “ethical” in the financial scene are “responsible,” “SRI” (Socially Responsible Investment), or “ESG” (Environmental, Social, and Governance). There also exist religious, “sin-free” funds that screen out alcohol, tobacco, and the like. The mere fact that there are so many terms for this kind of investment should tell you that there is an incredible amount of choice – more than enough to safely hedge your bets. You can invest in sustainability, technology, healthcare, education, and gender equality; or you can invest in big-name companies that support socially and environmentally responsible practices, like Starbucks or GE. 4. Ethical investments don’t make a difference. It already has. In addition to the clout big companies have in effecting civil rights, investment in sustainability is also producing incredible, world-changing technology. It’s easy to worry that your money isn’t enough, or that the funds you invest in won’t influence big banks or corporations at all. Since the financial crisis of 2008 many people have been concerned about not just transparency, but how much weight the individual investor actually carries. When you invest ethically, you become an individual who is part of an ever-growing collective, able to affect great change. Even the thought that you might support an ethical investment has big brands changing their act. 5. I can only ethically invest long-term. So far, we’ve stressed that ethical investment will have big long-term pay-offs. It’s easy to conclude from this that there is little to be gained by ethically investing short term – this, however, would be wrong. Recently, students at the University of Berkeley beat the market by more than 5% in a socially responsible investment initiative between 2011-2014 – think what you could achieve in such a time span with the help of a professional. Furthermore, industries dealing with biofuels and solar power are just some of the many ethical investments that have seen huge profits in the just past few years, and are predicted to see more. In terms of preventing short-term market failure, ethical indices can actually act as a safeguard against the worst risks: the infamous 2010 Gulf of Mexico BP spill was preceded by poor ESG performances. The company would have been screened out by ethical indices because of this. This means that by investing ethically you can guarantee minimising your investment risk and aren’t like to lose money short term. It’s a booming industry with a focus on not just a profitable future, but also a more enjoyable one. Ethical investments are not only more transparent in their finances, but also in their actions. Moral and ethical beliefs tend to grow in strength during a recession, when suddenly investing in the future becomes a way to cope with the present. Ethical investment doesn’t just invest in your children’s future; it invests in the futures of those who, thanks to the previous marketplace, are unable to affect change for themselves. In a world where money is the last thing we trust, and the only thing that talks – invest in ethics.